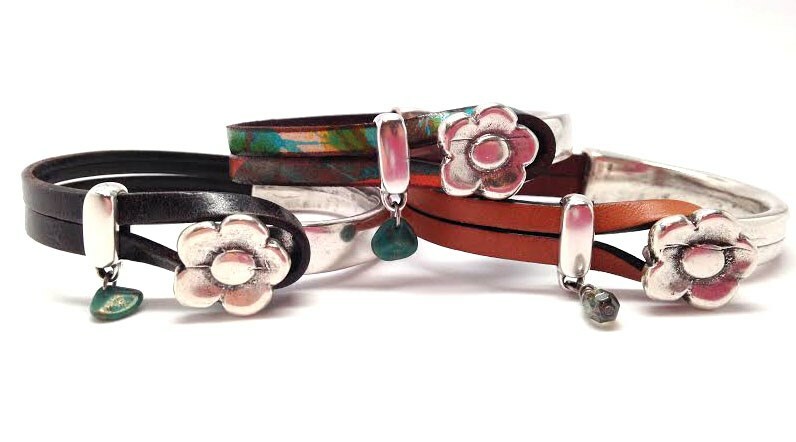 The Bloom Bracelet fits a 6.5" wrist but upon request can be made larger or smaller. Please let us know if you would like the dark, light or multi-colored leather. This item ships from United States. An additional charge of $3.00 will be added to each order for the current item.